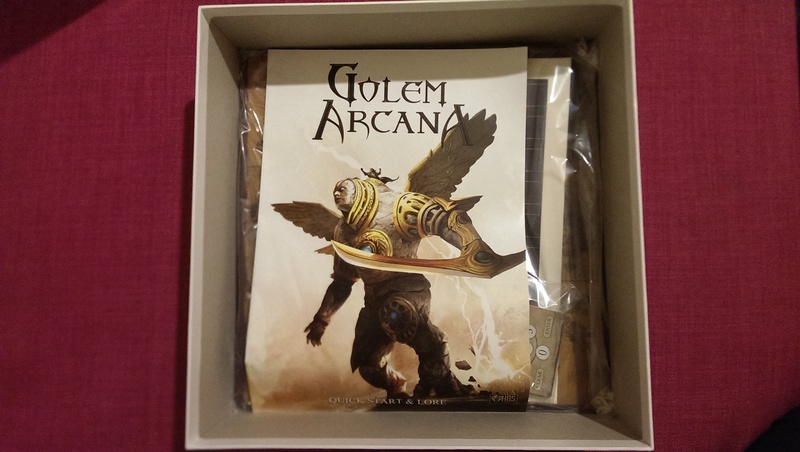 Last year at PAX, Noccie and I demo-ed a game called Golem Arcana. 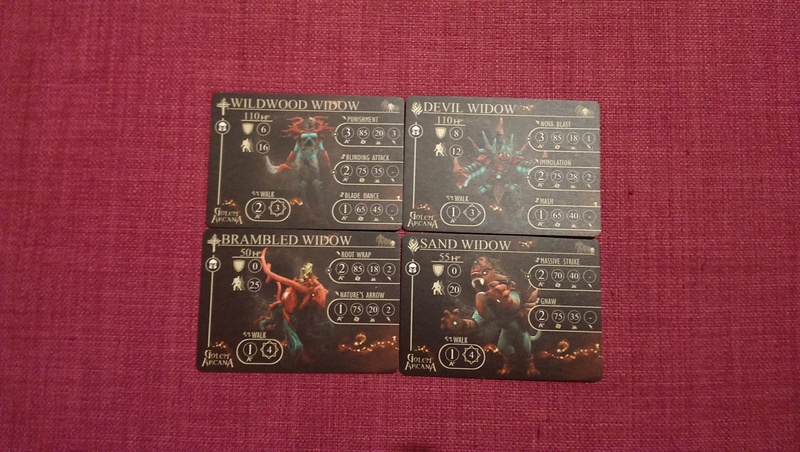 It is a game that marries traditional tabletop gaming with an app that keeps track of the minutia of the battlefield and character effects. 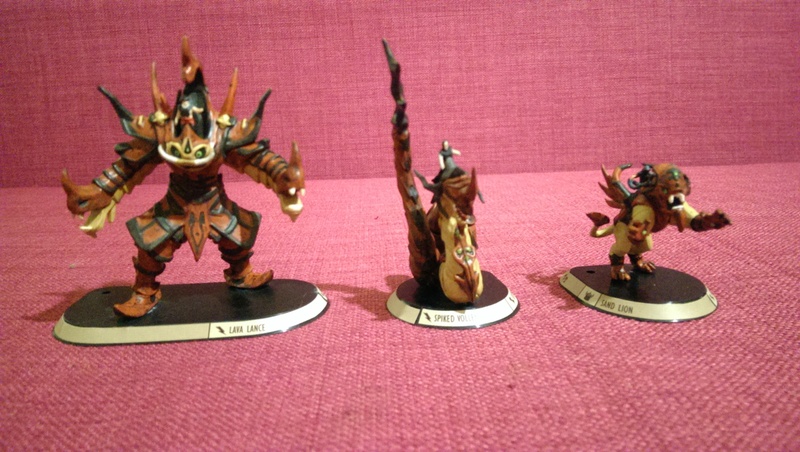 It also has a very unique look and feel that is carried to the tabletop via their pre-painted miniatures. This all coming from the fine folks at HareBrained Schemes who you may recognize as the makers of the new Shadowrun Returns video game that they launched via Kickstarter. 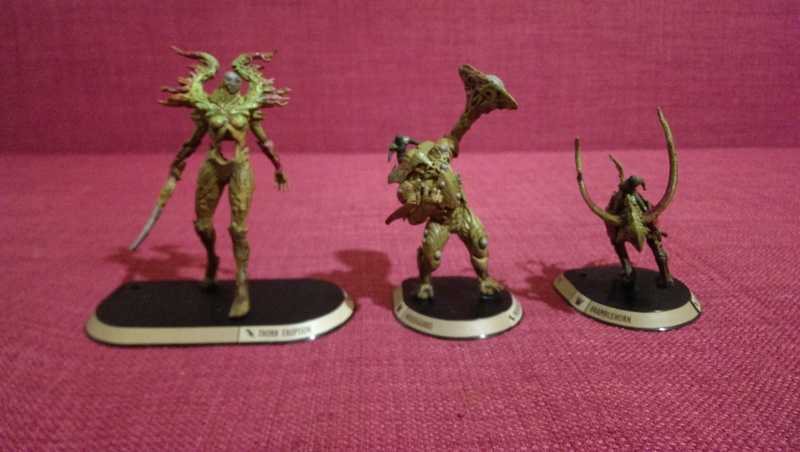 Having participated in that Kickstarter and thoroughly enjoying the final product, I was already on-board. 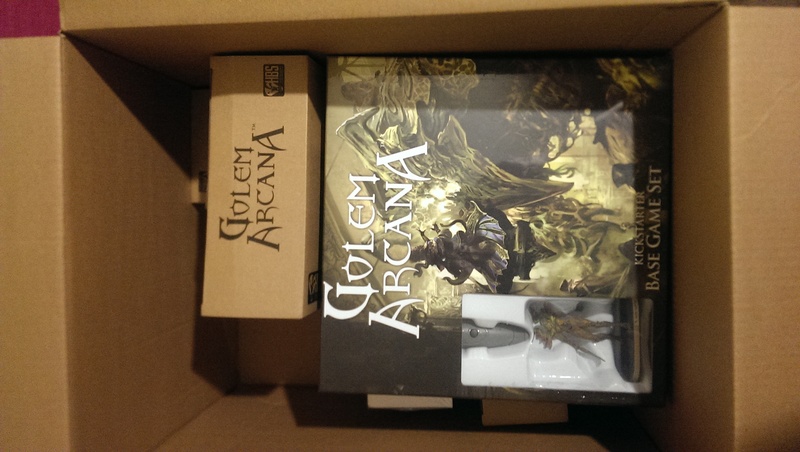 They promised another Kickstarter to get Golem Arcana going and they delivered! TONS of content all at once instead of the slow release that plagues most games of its type. 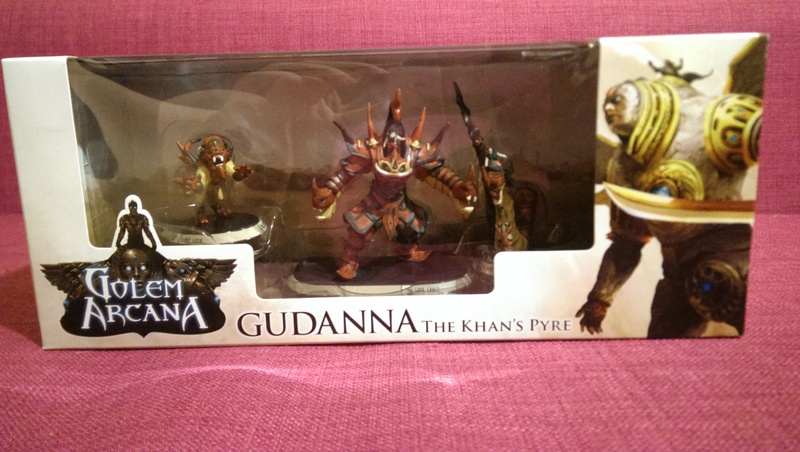 Last week, we received our pledge reward. 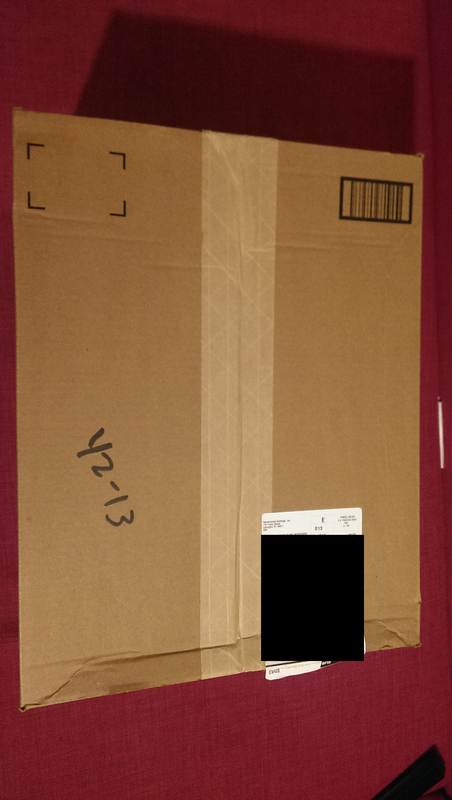 Here is my unboxing adventure of this mighty box-o-stuff. 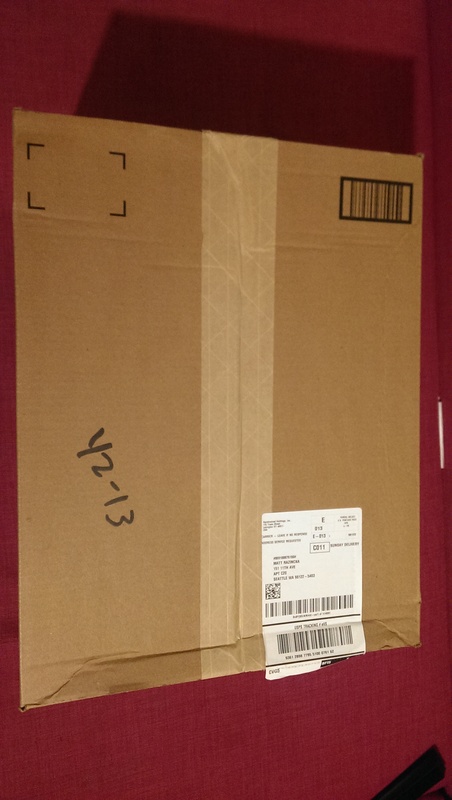 The box itself. Name and address blacked out to protect the guilty. And inside the voluminous brown beast? 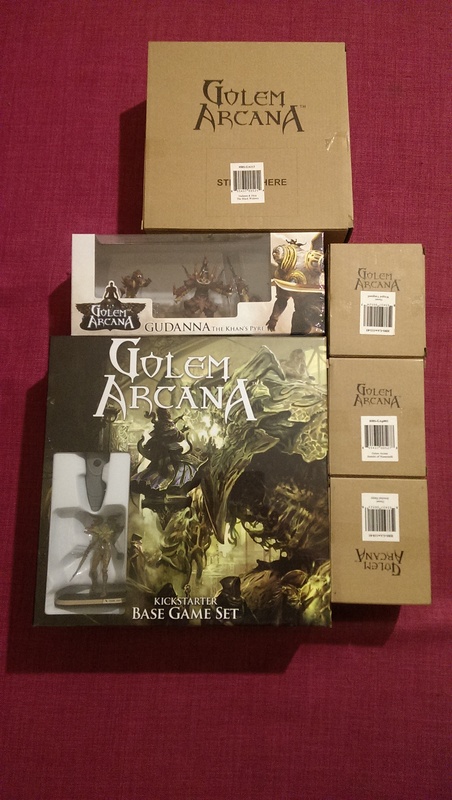 The Kickstarter edition of the starter box surrounded by the add-ons. 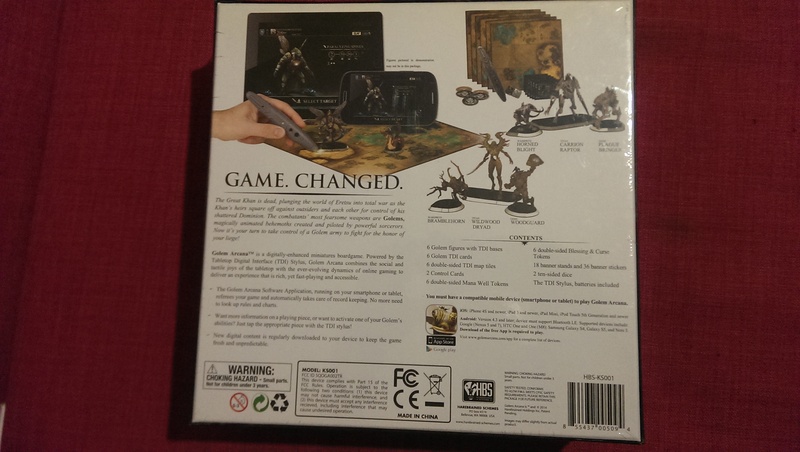 The back of the starter box. 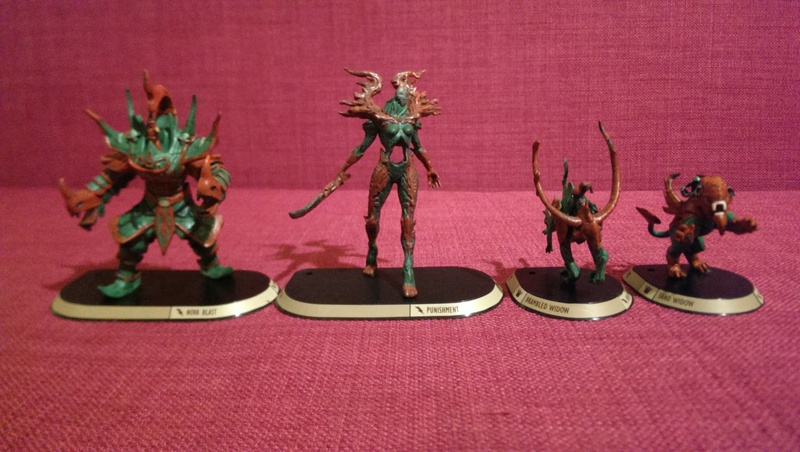 The starter box surrounded by its friends. 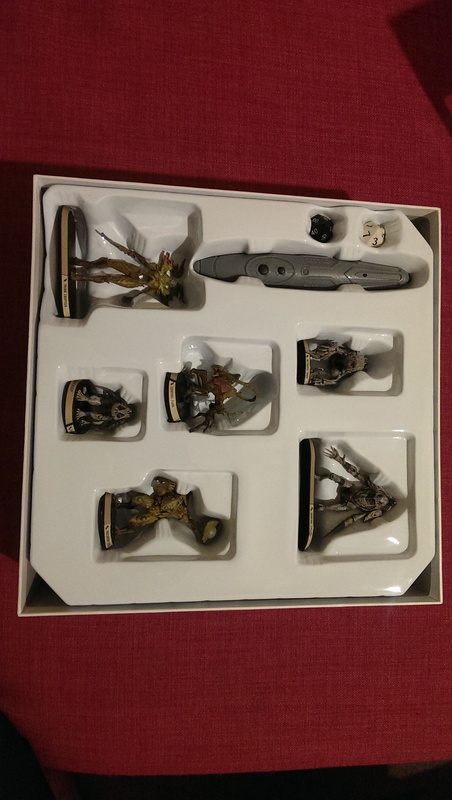 The inside of the starter box. 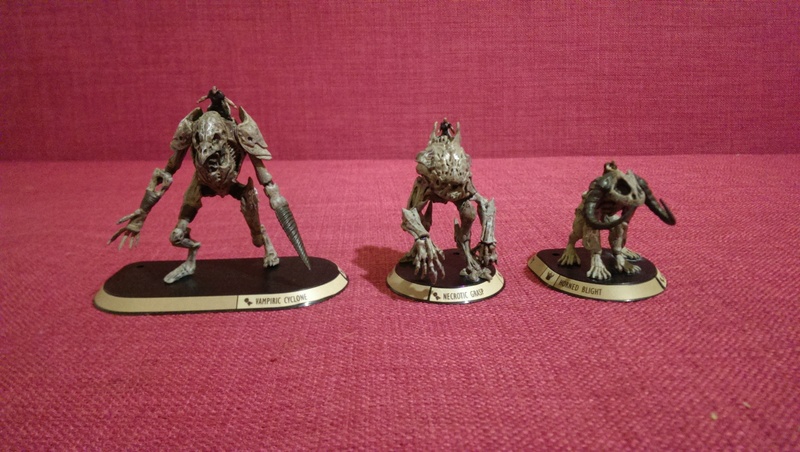 What lies below the tray of miniatures? Why the rules and accessories, of course! 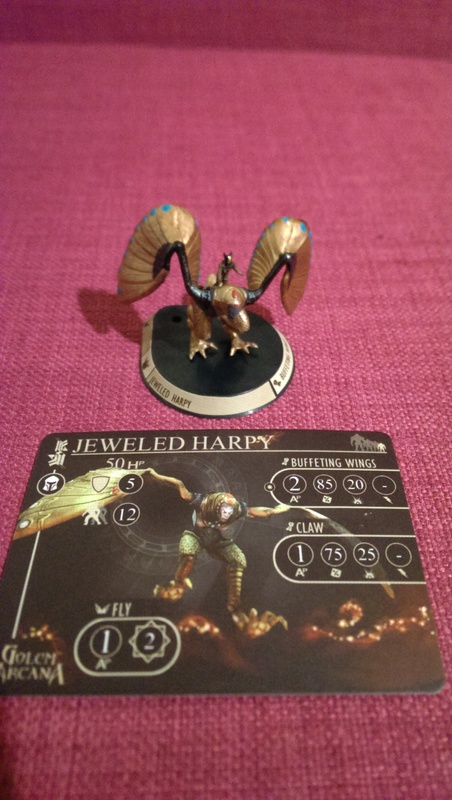 The rulebook itself is VERY sparse, but since this is run primarily via a downloadable app, that is not really surprising. 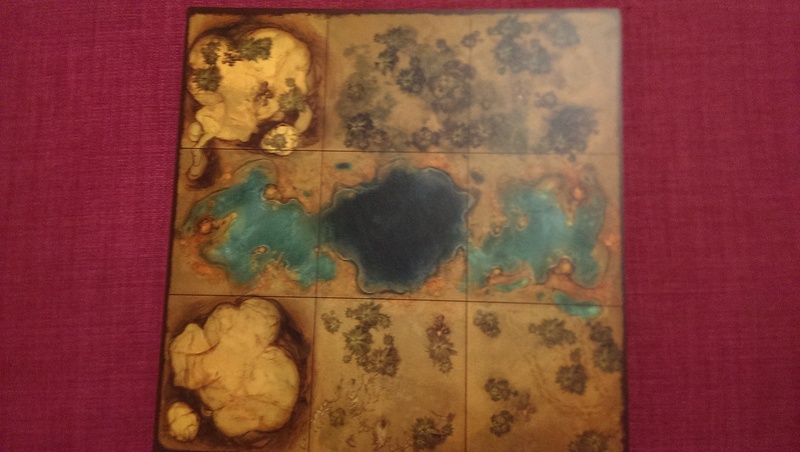 The control card and some counters on top of a battlefield tile. 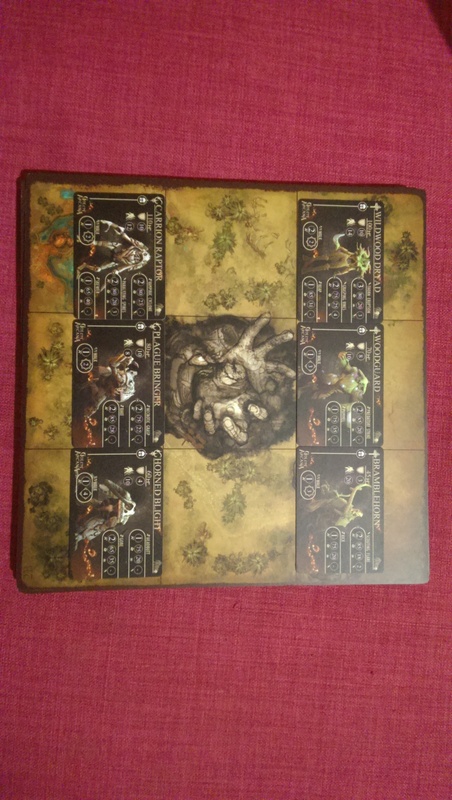 Character cards on top of yet another tile. 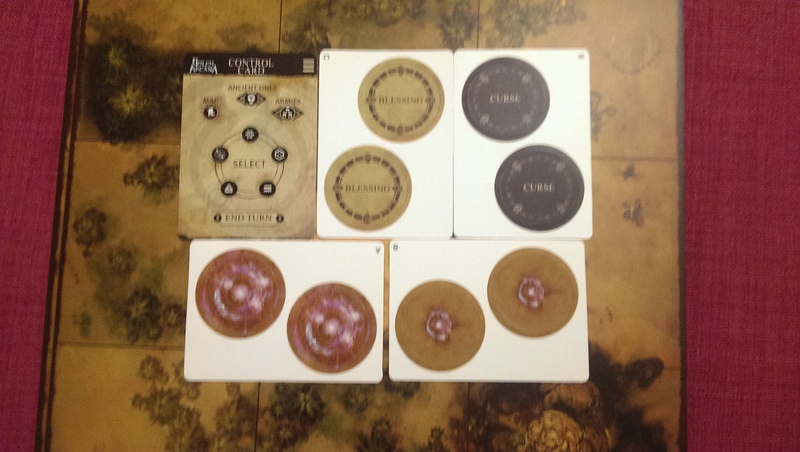 Booster box of Sand Golems. 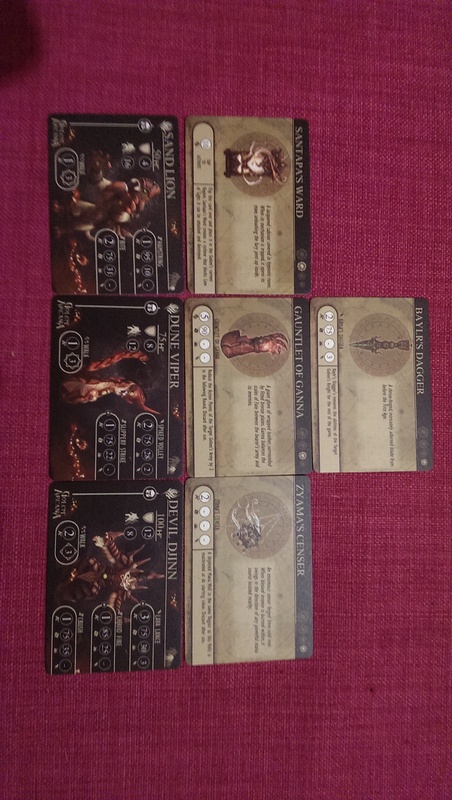 The cards for the Sand Golems. Sand Golems free of their containment field. 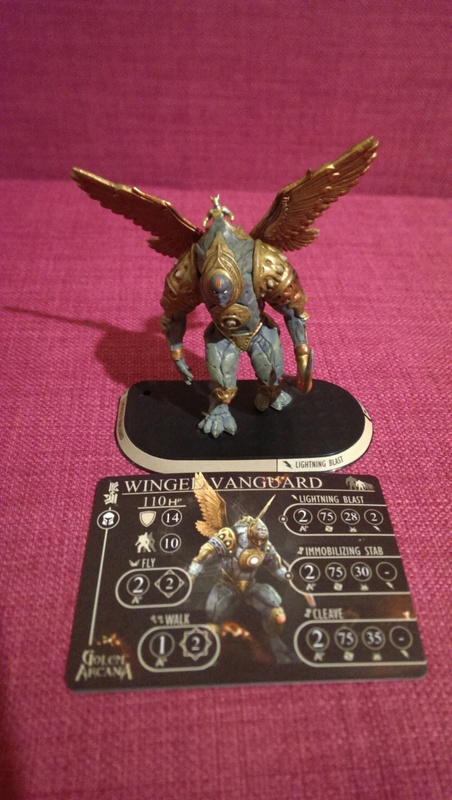 This wee beauty was bonus for having also Kickstarted Shadowrun by the same company! Another add-on that I just thought was cool! 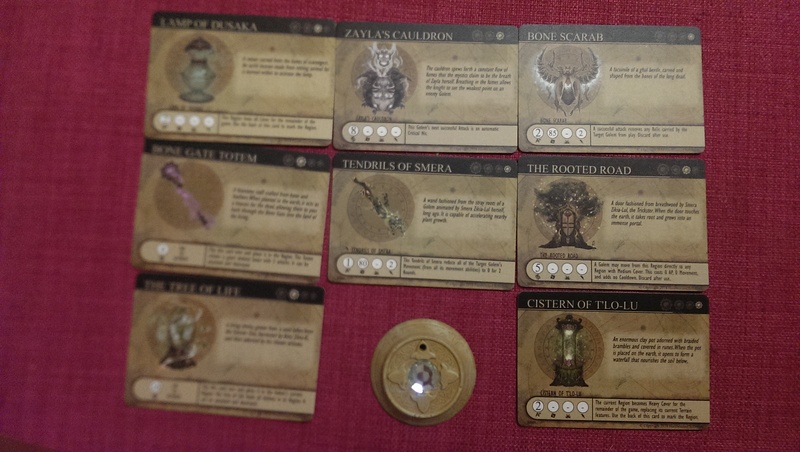 The pendant and item cards. Not entirely sure how these interact with the game. We are planning on getting some play time in soon and will be sure and take pictures and write up a full blow-by-blow of the action!